Chad leads the day-to-day operations of the company and implements process-based solutions to improve efficiency at Jenkins Group. 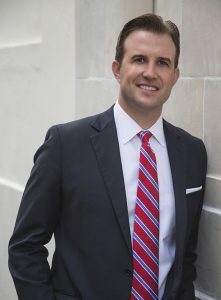 Prior to starting Jenkins Group, Chad served in the U.S. Army as an infantry officer and investigated international terrorism cases as an FBI special agent. Chad graduated from The United States Military Academy at West Point.